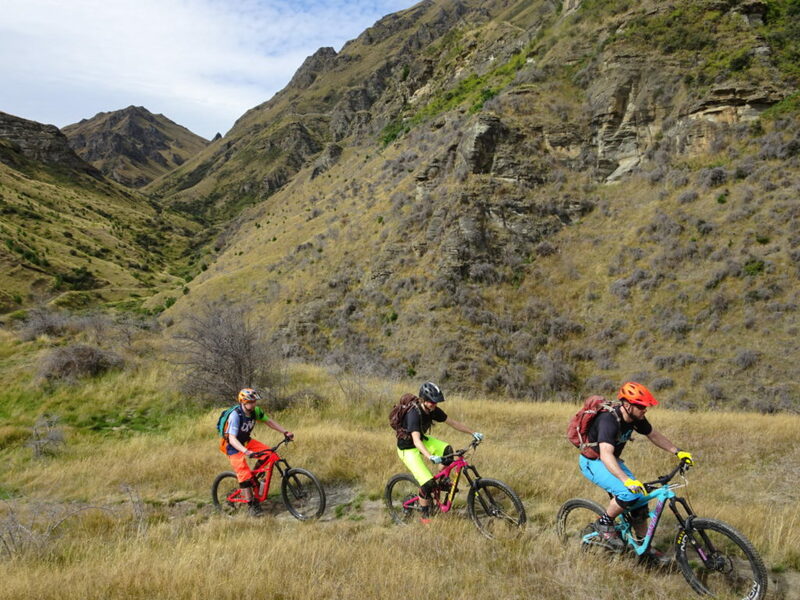 New Zealand Mountain Biking Tours always include Queenstown, but what lies just beyond the hype is even more local stoke found in some smaller Central Otago towns. 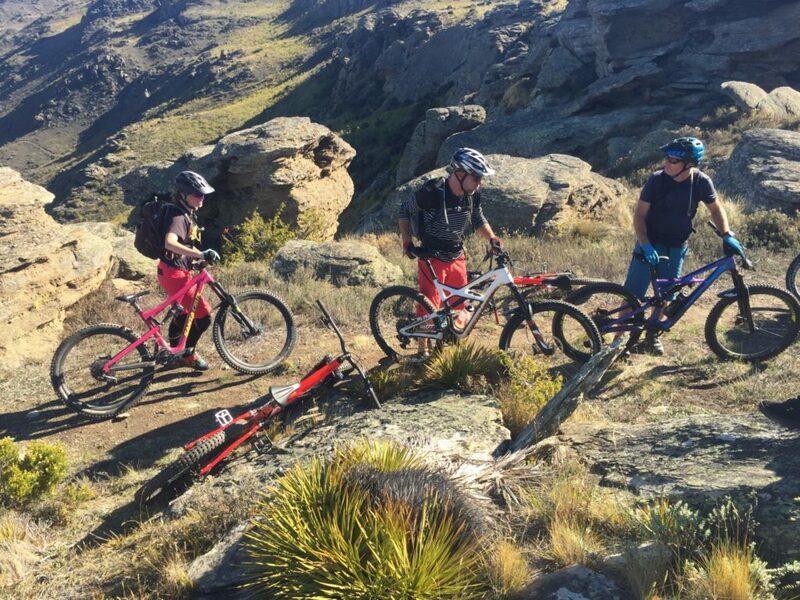 Of course every New Zealand mountain bike tours must include the experience of riding the sweet as trails of Queenstown, but what makes the best mountain bike adventures are those that get you beyond the main touristy riding routes and into local rides. Central Otago has heaps to offer on and of the bike and we love sharing with mountain bikers the sweet local flavours sometimes nestled in hard to find places. Whether your NZ MTB Tour is a shorter blast of 5 day or longer 8 day mission, we almost always include Central Otago as a must ride destination while riding with us. But we don’t just hit Queenstown. 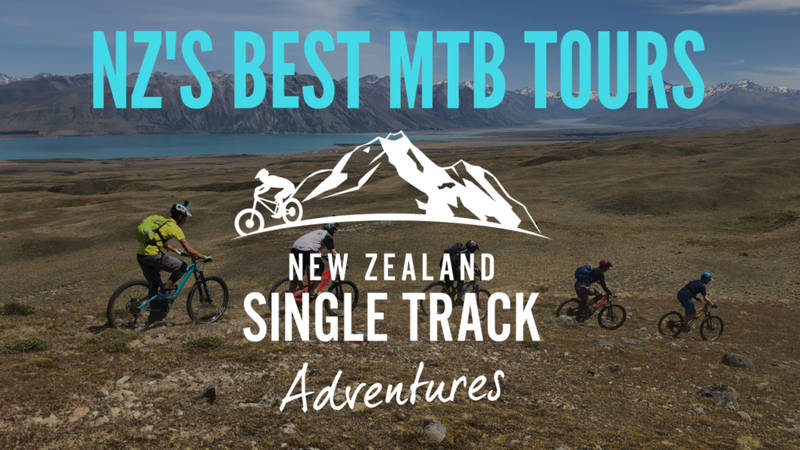 Semi desert like landscapes, nestled in old schist mountain ranges -rocky technical single track offers New Zealand mountain biking in the South Island a runner up next to Queenstown. One particular area that was in the past a sleepy getaway, is now moving up the ranks with Mountain Biking and riders from around the globe recognizing the awesome trails in a small town called Alexandra . Alex ( as us kiwis call it) is a semi desert like town situated about an hour’s scenic drive south east of Queenstown. 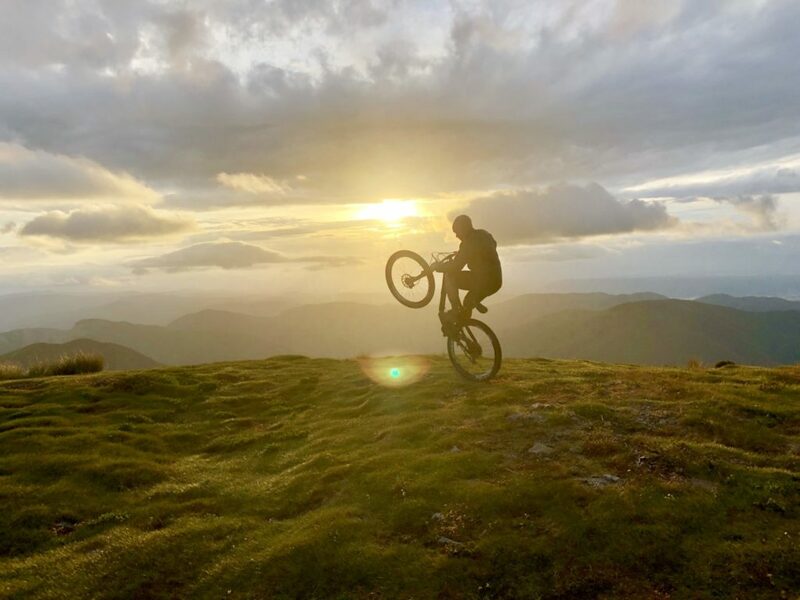 This local favourite New Zealand Mountain Biking town is nestled in old schist mountain ranges that have been worn down over time, in a wide valley that has a rocky almost North American riding feel to it. Funky rock outcrops, big wide open spaces and the smell wild thyme permeate the divine single track that lives here. Funky rock outcrops, big wide open spaces and the smell wild thyme permeate the divine single track that lives here, along with delicious flat white coffees, post ride breweries and fine pinot noir. A part from the riding the atmosphere is relaxed like most Kiwi towns, but still lacks the tourist madness of the all more well known famous towns that are becoming a little bit harder to find and with more riders. Alexandra offers great little cafes home to delicious coffee, a good way to start your morning- because we don’t function without hitting up a gourmet cafe with a proper smooth flat white. Post ride breweries can be found along any stretch of the desert town and wineries producing some of the finest Pinot Noirs ( also known as The Pinot Paradise) to go with an evening lamb cutlet or a dozen, depending on how big a ride you had, are bountiful. New Zealand Mountain Biking trail system in Alexandra can be a bit of a puzzle finding some of them, but there are some accessible DH trails and a local network of single track cirques easily found from town. 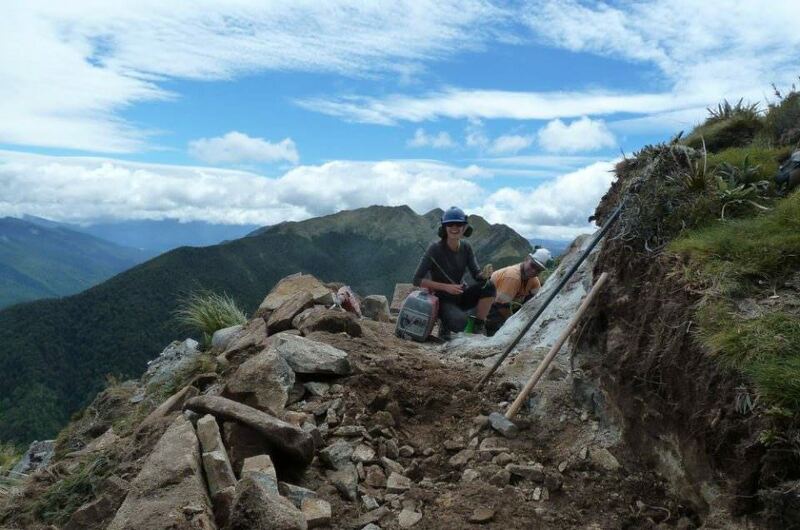 Now lets talk about the weather because thats a major part of any outdoor adventure in New Zealand. Because Alexandra is further east and protected by another 2 mountain ranges , the weather is often dryer and hotter than Queenstown. Its known to offer the hottest summers and coldest winter season in the country. The mountain bike trail system is a bit of a puzzle, and their not the easiest to find on your own. Many mountain bike trails are on private land and require land access from the station owner, or opting to ride with local bike companies can be a major time saver. There are a few public riding areas that offer a good warm up feel to this arid rocky and dry riding area. This area is New Zealand’s equivalent of a desert. Just another reason to add why mountain biking in New Zealand delivers hands down, one minute your riding through the rainforest and the next a desert. A fellow small town situated to the north of Alexandra is known as Clyde and is an ideal little side trip and day well spent with your mountain bike, exploring some steep and technical terrain. 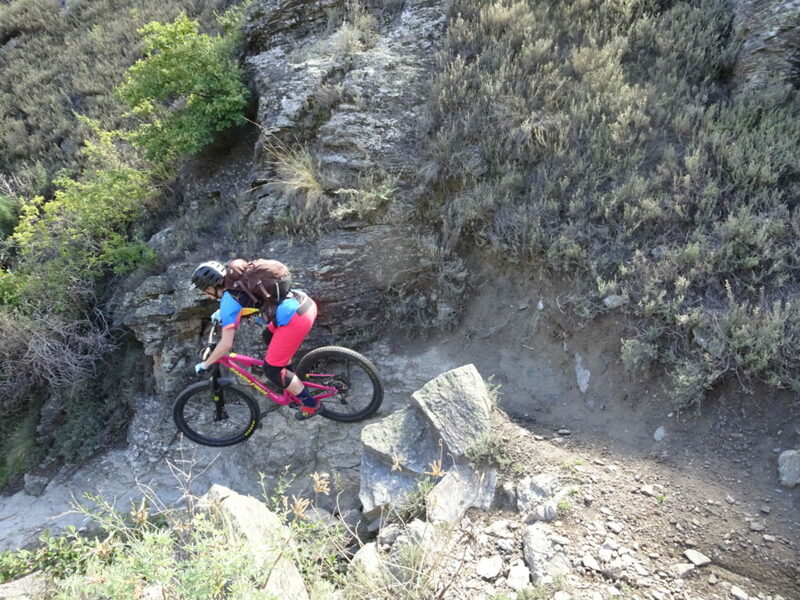 Theres an old DH course offering stunning views above town and over the vineyards. This funky boutique gold mining town is pretty historic and has a multitude of farm to table restaurants and bars, so you can never go to thirsty or hungry easily. We recommend also taking the time to head further east to yet another small town called Naseby for some equally good mountain biking trails New Zealand and less rider to tourist ratio than Alex. Find yourself enjoying some nice flowy trails after a few days of technical rocky gnar of Alexandra. Naseby offers a good flow fest after desert rock gardens. Naseby offers more of a cross country style ride, but after the more technical terrain or Alex and Clyde you may just find yourself enjoying the nice flowy nature of these trails in Naseby. Again end your ride with a classic old Kiwi pub with a local kiwiana feel to it. 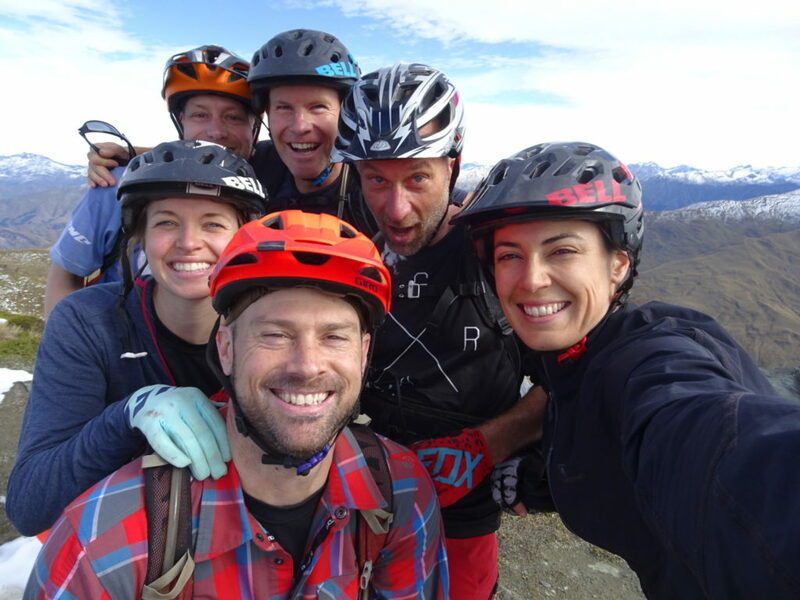 We’re always discovering new rides, new places and piecing together the authentic New Zealand Mountain Biking experiences that offer riders a good feel from start to finish and especially on the local side of things. If you’ve got some time, we highly recommend adding a few days to include these Central Otago gems , but don’t forget Queenstown for an epic finale. 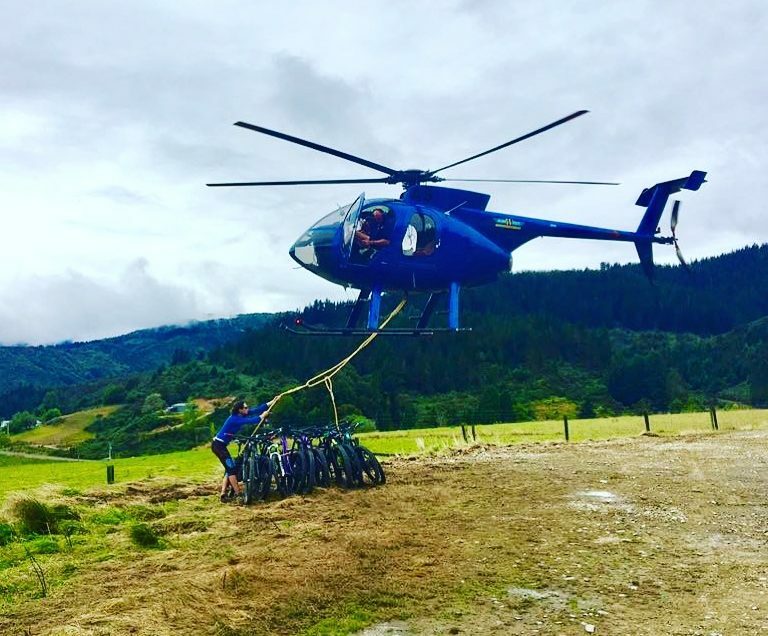 Our shorter 6 Day Into The Mystic Mountain Bike Adventure, takes riders to some local South Island must do mountain bike trails, while if you feel you’ve got the legs for our 12 Day epics, your surely not to miss out even more of the best New Zealand mountain biking experiences with us and our team. We highly recommend adding a few extra days to explore beyond Queenstown, and consider Central Otago as a whole for providing awesome mountain biking. We’re usually all feeling it by the end of an epic multi day mountain bike trip around the South island. Wether its 5 days , 8 days or the epic 12 days, mountain biking New Zealand requires some good climbs and focused downs and even the best of riders feel multi days on the bike! The good thing, with so much stoke in the air about nearing Queenstown, the legs seam to respond with a perk when we get round to Central Otago. Mountain Biking in Central Otago will have you confused with which day was the best whatever direction you go. I mean whats an adventure without venturing out and exploring new territory right? 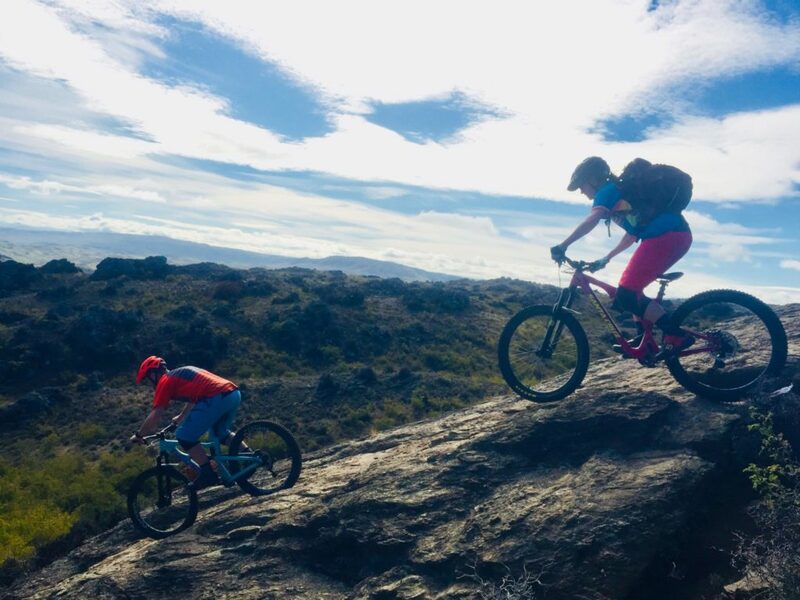 So while your down Queenstown way, take the time to explore Central Otago’s mountain biking beyond the super hype areas- you wont be disappointed.